Join us: Sept pizza parties to celebrate us launching in Calistoga & Sonoma Valley! We are thrilled to announce that in September, LGBTQ Connection will be launching LGBTQ youth programs in Calistoga and Sonoma Valley! Join us for Community Pizza Parties and come learn about our programs and services. All ages are invited to join us! RSVPs are not required, but appreciated. We can't wait to see you there! Meet us in Calistoga! September 19th from 3:30-5p @ the College and Career Center at the Calistoga Junior Senior High School. Contact Eduardo to RSVP or for more information: eduardo@lgbtqconnection.org or 707-251-9432. Meet us in Sonoma Valley! September 26th from 4:30-6p. Details are coming soon. 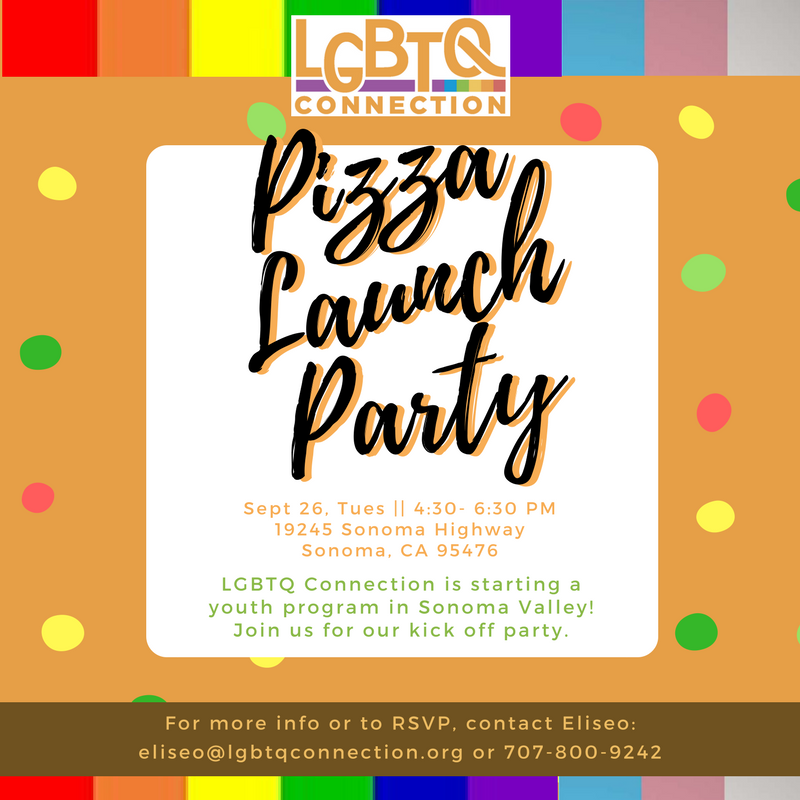 Contact Eliseo to RSVP or for more information: eliseo@lgbtqconnection.org or 707-800-9242.